Can You Actually Make Laminate Countertops Work? When it comes to fast, inexpensive kitchen remodeling projects, laminate kitchen countertops are the kings of the party. Nothing else can make such a dramatic impact, be so inexpensive, and even is so simple to do that most homeowners are capable of tackling the project themselves. That is a trifecta of home improvement that is hard to beat. Of course one should not embroil oneself in a full-fledged custom kitchen remodel on the first go round. For those who are new to doing laminate countertops, it might be better to redo something less prominent first, such as a countertop in the laundry room. This allows you to gain expertise on small projects before getting deep into larger ones and then discovering that it isn’t going as well as you’d hoped. However, the same factors that make laminates a sound investment for do-it-yourselfers also apply when employing the services of a professional. In either instance, the project can be done to perfection in a short period of time and still save a substantial sum of money over other options. What is a Laminate Countertop Exactly? While the easy answer might be that they are plastic, that answer would also be wrong. Laminates are actually made out of a base of very hard compressed paper and resin that makes it stiff and provides a durable protective finish on top of the chosen pattern. The laminate material is actually a fairly thin sheet of hard material that is bonded to a substrate of particle board which comprises the bulk of the countertop as well as the majority of its strength. The attraction of having a laminate countertop is that you do not need to rip out the entire thing if you decide to transform the look of your kitchen. Removal of the laminate allows you to lay down a new laminate in its place without unduly disturbing any other part of the kitchen. All countertops are subject to most of the same risk factors for damage. Knives can gouge into any type of countertop under the right circumstances. Dropped crockery can chip edges. Severe blows can physically break the countertop. Even though laminate countertops are somewhat more vulnerable to being burned by gross error, they are much less vulnerable to chemical damage in comparison to the most-expensive countertops of all– marble. Spilling lemon juice on a marble countertop can produce very unwelcome results that do not occur when doing the same thing to a laminate surface. The good news is that laminate kitchen countertops have one significant advantage over many of their more expensive rivals– they can be repaired. A chip or burn in a laminate can be repaired simply by laying down a new sheet of laminate. Damage your granite or marble countertop and it may require complete replacement at a huge cost and inconvenience. For many years the complaint has been that laminate finishes are not as “deep” as those of granite or quartz countertops. Since laminates are about 1/8th of an inch thick and the rock ones are an inch thick, this has been a valid observation. With recent innovations in so-called HD laminates, however, that distinction is really not valid any longer. 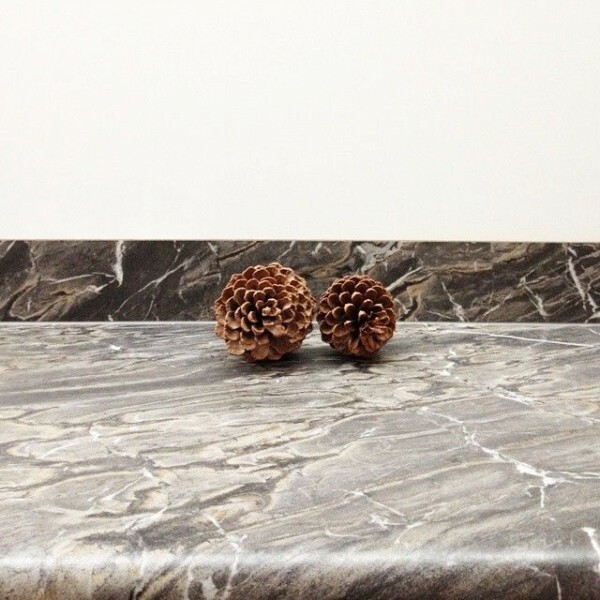 The superior patterns made possible by modern printing technology means that the apparent depth of a laminate granite countertop is nearly the same as an actual one – but at a small fraction of the price. It is this new “deep look” laminate process that is bringing the old kitchen standby back with a vengeance. It is possible to have a countertop that looks like it is made out of the most expensive materials but does not cost tens of thousands of dollars to purchase and require professional installers to finish the job – since they are the only ones with the tools, experience, and ability to move such massively heavy slabs of rock without damage to itself or to the area surrounding it. As mentioned above, the major disadvantages of laminates are that they are somewhat more susceptible to the ravages of a burning hot pan and may not appear quite as exquisite as more expensive options. Yet this last point is somewhat offset by the fact that laminates are available in many different patterns that the others can’t compete with. If you are looking for a specific color match or pattern complement, laminates may be your best choice. On the positive column of the ledger is the fact that laminate technology has been around for a very long time. It is a tried and tested option that has only gotten better as methods and materials have advanced. It is much simpler to install both from scratch or as a surface renewal option. Above all, however, is its unmatched supremacy for cost efficiency. At its most basic cost, a sheet of laminate material will run you about $2.00 a square foot. Since it comes in sheets, the price per square foot will go up if you only have a small project– but you will end up with plenty of spare laminate material on hand in case of damage. This assumes that you already have a subsurface on which to put it – such as an existing laminate countertop that you will strip and sand flat, or an already-built new particle board countertop on which to install it. Some additional supplies such as glue and the specialized router bit that makes trimming edges a breeze for anyone will also need to be added. It is also possible to buy pre-fabricated laminate countertops which have the particle board and laminate already assembled together. All you have to do is cut them to size and screw them down. These will cost somewhere in the $8.00-$9.00 range per square foot. Having a professional do the project on a turn-key basis will generally cost you in the neighborhood of about $30.00 per foot and upwards, depending on options and difficulty of installation. Laminates are a very cost effective solution. Along with their close cousins, the tile countertops, they are really the only practical option for DIY installations. They can appear all but identical to more expensive types of countertops and can be more easily exchanged to suit changing tastes in home décor as time goes by. They are simple to maintain and do not require any time-consuming special upkeep or supplies. All-in-all, it seems that the time has come for laminate kitchen countertops. Again.